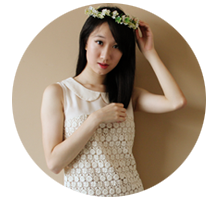 NAILS: Etude House's Fashion Queen Nail Collection in #01 Hey! 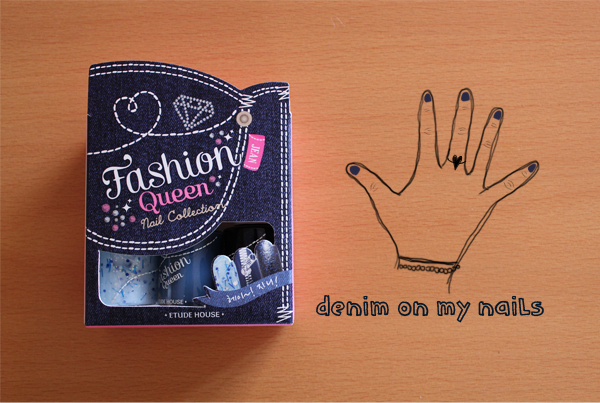 Jean E.
One of the items in Etude House's March Pink Box is the Fashion Queen Nail Collection in #01 Hey! Jean E.. I am really enjoying these little nail kits from Etude House because they dress up your nails in a particular theme, with the nail polishes complementing one another really well. Back in 2011, Chanel launched their Les Jeans de Chanel Collection and for the first time in my life, I thought denim was very classy. But I refuse to go into premium nail polishes (That would be equivalent to opening a Pandora's box.) and instead, lived on regret and Google images... Until now. No. 1 White T-shirt and Jeans is a gorgeous powder blue with strips and tiny circles of various shades of blue. This required at least 3 coats for the blue to be solid. The surface is pretty uneven because of all the specks but I love this nonetheless because of its uniqueness. No. 2 70's Blue Denim is an air force blue that only required two coats. The nail polish went on smoothly and would be my favourite shade in fall. No. 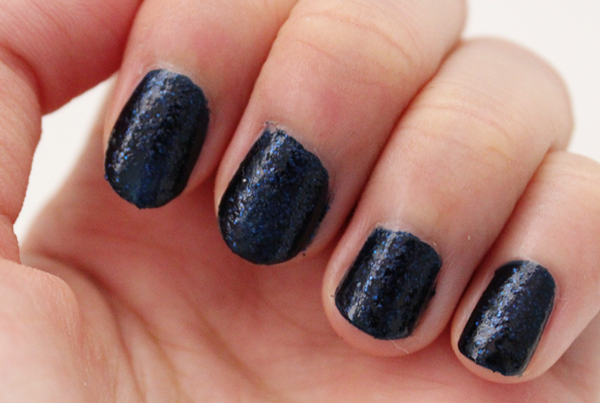 3 Perfect Skinny is space cadet blue loaded with blue glitter. Another 'bumpy' nail polish, this required two to three coats. Even though I think this is the prettiest, I like it the least. Haha. It doesn't quite make sense but oh wells.